“Tourists from around the world come to see an untouched Bahamas. Meanwhile, the government says that cultivating high-volume, high-impact deals with cruise lines will bring local jobs. In reality few locals are hired to staff the cruise lines’ “private islands” and these fantasy terraforming projects naturally conflict with efforts to promote local, more lucrative eco-tourism. If Egg Island is designated a marine protected area, the community will see pretty quickly that the income-earning opportunities for eco-tourism far outstrip the earning potential of the average cruise port employee.” Theo Linn is an American attorney and resident of Russell Island, the closest community to uninhabited Egg Island. He recently assisted Bahamian colleague, Holly Peel, in a major battle against Disney Cruise Line. Egg Island is the last undeveloped island in a chain that served as the landing spot for the first European settlers who shipwrecked in 1648. Most of the residents of nearby Spanish Wells/Russell Island are direct descendants of those first “Eleutheran Adventurers.” For over 20 generations the people of Spanish Wells and surrounding communities have revered and protected Egg Island for its natural beauty and bountiful fisheries. 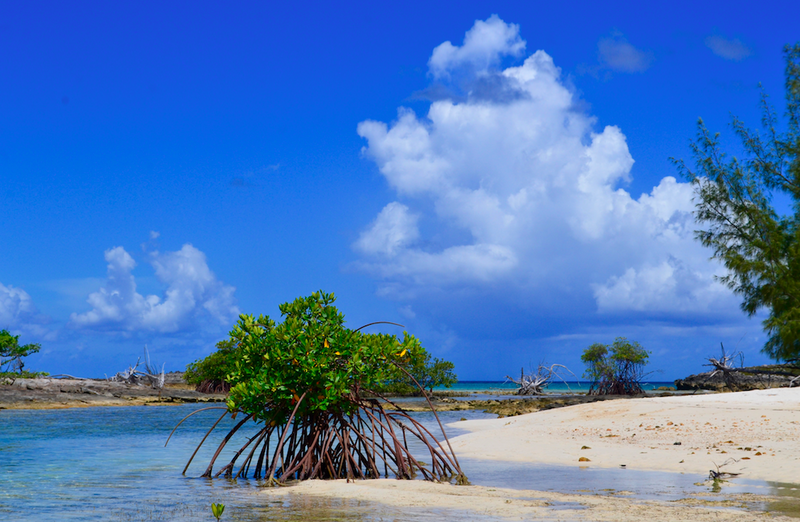 A variety of healthy ecosystems including mangroves, coral reefs, salt ponds, rocky shoreline and beach are emblematic of the island. Surrounding clean waters serve as a spawning aggregation site for grouper and two sun-drenched pristine beaches welcome endangered nesting sea turtles, while endangered sea birds nest in peace along the shoreline. 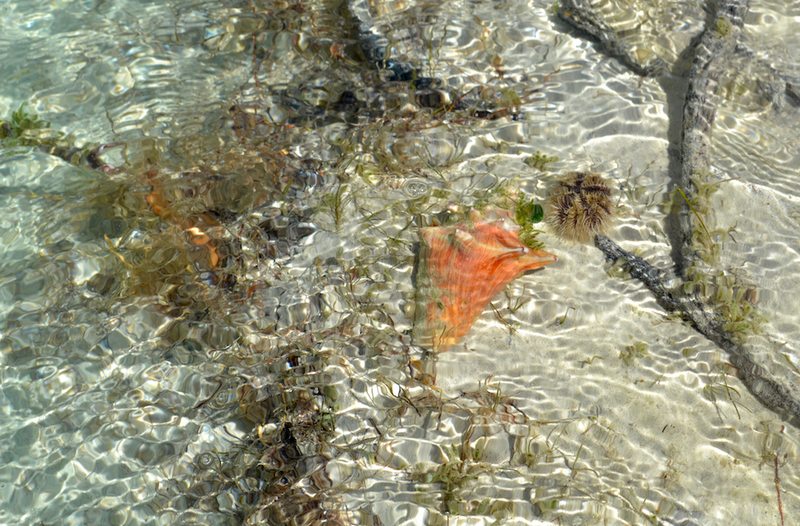 Juvenile conch and a myriad species of reef fish, vital to the health of the near-shore reef system, mature safely within Egg Island’s two crystal clear salt ponds. Although the island holds substantial cultural, historical and environmental significance, it’s under constant threat of sale or lease by the government until the island is granted protected area status. 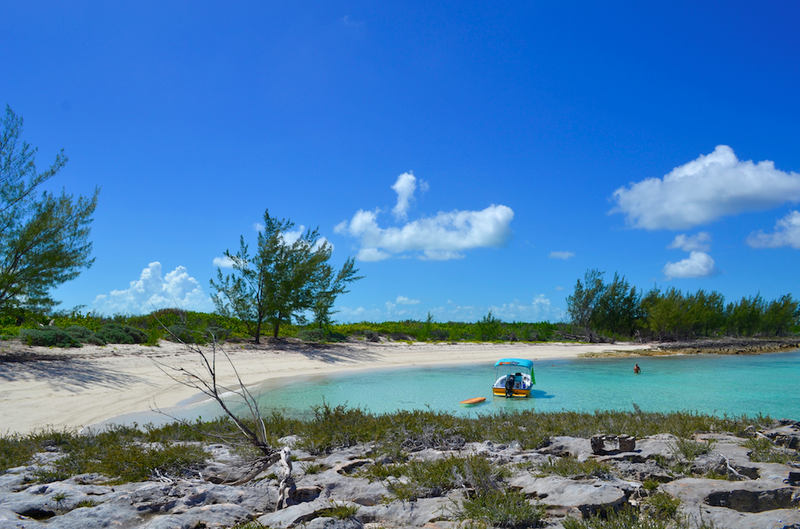 Interest in Egg Island has been magnified in the last few decades since the Bahamian government is increasingly focusing on its principal asset: beautiful beaches and sunshine. Located very close to the capital, Nassau (about 50 miles), it’s strategically convenient from the cruise line perspective since it’s on the main drag. Not only is there a focus on developing tourism, but sadly, a focus on selling islands to cruise lines. In June 2016, Disney Cruise Line arrived on Egg Island with a drilling rig that scooped up seabed samples from about 150 feet deep off of the island. The proposed cruise ship terminal was projected to bring in 3,000 to 5,000 passengers twice a week while dredging and pollution are known to cause healthy reefs to decline. Upon hearing rumors of Disney’s arrival, Egg Island residents immediately spurred into action and collected over 3,000 signatures (more than the population of Spanish Wells!) to show Disney and the Bahamian government. Holly organized the petition and attempted to speak directly with the Bahamian Prime Minister about her community’s strong reservations. However, because the Bahamas does not exercise the freedom of information act, anchor projects like Disney are negotiated in secret. In the case of Egg Island, residents only learned of Disney’s plans to drill from equipment placed visibly on the public dock and took the onus upon themselves to dig deeper. In the case of Disney, Egg Island was thankfully saved from the proposed cruise ship terminal. On July 22, 2016, Disney Cruise Line Blog released an update that “environmental impact assessments and geo-technical studies carried out by the company have indicated that the island’s marine and environmental profile could not survive a development on that level.” Whatever the reason, environmental impact assessment, bad press, or a combination of both, Disney backed out. All agree the development would have dealt a devastating blow to Egg Island’s surrounding ecosystem. Granting marine protected area status to Egg Island will undeniably prevent commercial coastal development- but in the Bahamas it’s not that easy to achieve. In order to approach the topic with the government, the community needs robust scientific data to make their case; the same data Disney captured in their environmental impact assessment. Holly and Theo have made several requests to Disney Conservation but have not heard back. In a perfect world, they could simply approach Disney and say “you did the right thing” and ask for their data to submit to the government. Without this information, it’s difficult to be a promoter of environmental consciousness and responsibility- as Holly puts it “protection doesn’t always require science; for Egg Island it’s common sense”. Egg Island is public land and has been very important to the community for more than 400 years but without protected area status, it’s only a matter of time before another cruise line or developer comes in with grandiose ideas of how to commoditize the islands precious resources. The Egg Island Hope Spot is providing important information on how to handle large corporations in the light of grave change. We strongly urge Disney to share the environmental impact assessment with the concerned residents of Egg Island in order to take an important step forward in safeguarding their marine environment. If you are interested in helping Theo and Holly to compile scientific assessment resources, please provide your information in the comments below or email us at info@mission-blue.org.